For those out of the loop, Prrj won the 3 most recent premier events in the TCG. In a row. 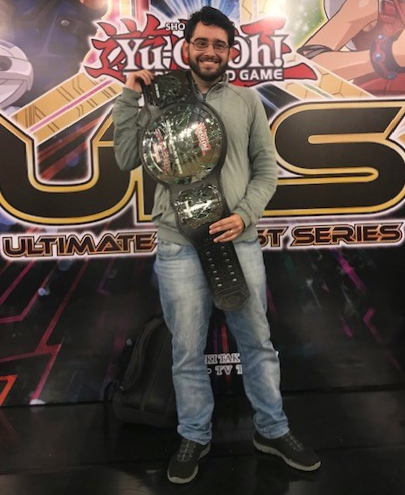 Starting with the 3v3 in YCS Atlanta, he won the UDS in Medellin, and then lastly the YCS in Guatemala. I had a chance to speak with him and decided I’d put a small interview with him here on the site for people. He played Sky strikers at all 3 events. He’s made a video you can check out at the end. Firstly, his matchups at each event. For the interview questions, I’ve left his answers as-is. He is not native english, so some of it is a bit messy, but I don’t want to edit any of what he’s said for the sake of accuracy. I think Striker its, by far, the best control deck in the meta and the combo options(like thunder and orcust) are not gouki-level and have some really difficult, and imo impossibles, issues to address. In the YCS Atlanta 3×3 and UDS Medellin, i mainly mained for Salamangreat. For YCS Guatemala i changed a little bit and focus more on the Sky mirror, which is on the rise and was i really good decision since i played 7 out 12 matchs of Sky mirrors. Probably Thunder is the more uncontrollabe matchup where the actual cards matters more than a gameplan and/or gameplay. I think the YCS 3×3 final was the most intense one. It was a team YCS, on stream, with my friends and everyone from South America was watching us! We played one of the most, if the THE most, strong team in the room (Jesse, Esala and Furman) and my match was the last one!